MEMPHIS, TN (WMC) - An oyster bar opening near Overton Square in December is already causing a controversy. Indian Pass Raw Bar is a seafood restaurant under construction on Madison Avenue. It's a Florida-based restaurant set to expand into Memphis. However, some people are not happy about the upcoming establishment. "It's just disrespectful and inappropriate," Lisa Moore said. "I understand that this is a restaurant that is branching out from Florida, where it's an area where Indian pass is a street name or something like that, but to translate that into the Memphis market doesn't translate." Moore said Indian Pass is especially insensitive in Memphis because of the Trail of Tears. Trail of Tears is the name given to the forced removal of Native Americans by the U.S. government in the 1830s. Thousands of Native Americans were killed in Trail of Tears. "I think it disregards a cultural heritage and history here that's just inappropriate," Moore said. 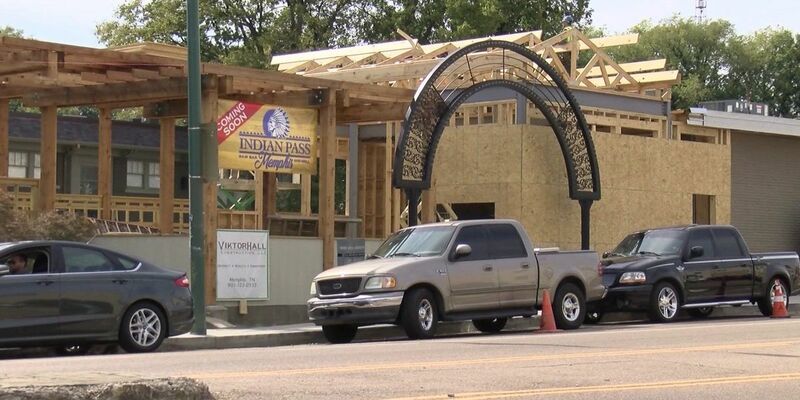 The owners of Indian Pass said the name is not meant to be offensive. "People there know that Indian Pass represents fresh seafood. That name 'Indian Pass' is where the fresh seafood is gathered, so that's what the name represents, and it's the name of the family business like I said since 1929," the business owners said. Moore understands that not everyone will be offended by the name, but she said she thinks it should be changed. "I think we have to start holding each other and businesses accountable for being aware--woke if you will--about what the history is, what the market is," Moore said. Indian Pass is scheduled to open December 9. Arianna Poindexter can be seen reporting on WMC Action News 5 weekdays and behind the anchor desk on weekend evenings.